The United Methodist Church will have a special General Conference next weekend (Feb. 23-26) that may have profound impact on the future of the denomination. No matter how the vote comes out, I will not be leaving. I don’t make this declaration lightly. If the One Church Plan is adopted, I suspect that the UMC will experience what other denominations have after adopting similar measures. We will see a large exodus of people, clergy, and congregations, which will shift the denomination further to the progressive side. The net effect of these changes will be that I will find myself a minority in a denomination that will grow increasingly less tolerant of my theology. I am not naive about the way evangelical clergy are treated in progressive conferences already. I have heard the hostile language used by “centrists” toward evangelicals in the last year. I have read the words of a bishop of our church who accuses those who support our current Discipline of being merely interested in power and oppression rather than fidelity to Scripture. I know that staying in an increasingly progressive UMC will not be a path of ease. Indeed, I may face expulsion at some point down the line, despite the promises of the OCP to protect the conscience of clergy. If this is a possible future I imagine, why stay and why be public about that intention before the votes? I have a few reasons. First, my sense of call has not waivered or changed. God called me to serve in the United Methodist Church. I have prayed quite a bit about whether that is still God’s intention for my ministry, and the only answers I have received are “yes.” Although I had no awareness of the looming crisis in the denomination when I answered my call more than 10 years ago, God was surely aware. Absent a strong leading from God, it would be unfaithful for me to abandon the call. Second, I can’t shake Jeremiah 32. I believe God has put that piece of Scripture in my mind. In Jeremiah 32, God tells the prophet that the Babylonians are coming and that to resist them is pointless. Instead, Jeremiah should buy a field in Anathoth and seal the records away in a clay jar where they will surive a long period because God’s promise is that one day the people will return to the land. I apologize to my colleagues who hear in this passage a comparison to the Babylonians. I merely share what is on my heart. Staying even if the denomination takes a vote that I do not support is my version of buying a field in Anathoth. At least, I think that is what God is telling me by keeping this passage so clearly before me. 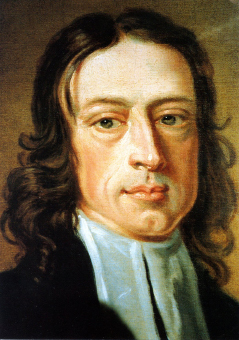 Third, I interpret John Wesley’s instructions as a counsel for unity. In his sermon “On Schism,” Wesley argues that the only biblical grounds for separation from a church of which I am a member is if the body requires me to do something the word of God forbids or prohibits me from doing something the word of God requires. On its face, the adoption of the OCP neither requires me to do something the Bible forbids nor prohibits me from doing what it requires. Yes, in time, as the denomination changes that may also change. In the meantime, however, I lean on the wisdom of our movement’s founder. Wesley has been a profound spiritual teacher and guide for me. I continue to turn to him for guidance in matters such as this. Finally, I cannot as a matter of personal integrity continue in the process of ordination that I am in if my plan is to leave the UMC if it votes contrary to my understanding of the Bible. I know some people land somewhere else on this. For some, the vote changes things and changes the analysis. I fault no one for that. In the coming days, however, I am hoping to hear that I have been approved to move forward to track 3 of my conference’s ordination process. I have had to persevere under some very difficult circumstances to get to this point. I have in the past two years wondered whether the UMC was trying to tell me it did not want me to be an elder, but I have pressed ahead because I believe this is the work God is calling me to do. I simply do not feel that I can with integrity ask the conference to vote me forward in the process, but plan to leave if the General Conference goes a direction I do not support. I know that statement may sound incoherent to some. I can only offer that it feels like an issue of integrity to me. I cannot accept the polity of the UMC and refuse to accept the outcome of its politics. Others do not share my view. I understand. This is where I stand as we approach the General Conference. My prayers are with the delegates who will gather, discuss, debate, and decide. I cannot imagine the burdens they carry. My heart is already breaking for the church general because I know that no matter what happens the pain and difficulty will continue. I am also carrying grief because I know that the vote could lead members of the congregation I serve to cut ties with the UMC. In these days, I hold on to the hope of Jeremiah and I trust that God is at work in ways that I am too small to comprehend. When you go through seminary, you are taught how to listen to other people. In formation classes and in pastoral counseling classes, we are taught how to listen. If you take a unit of Clinical Pastoral Education — as all United Methodist clergy candidates in Indiana are required to do — you get both classroom and practical training in how to listen. We need all this because it turns out that listening to other people is incredibly difficult to do. We usually don’t listen to people. What we do is sift through things other people say in search of bits and pieces we can react to. Or we react involuntarily out of our own emotions, wounds, biases, and convictions. We don’t listen, and we don’t hear. We use the other person’s statements as fodder for our own. I’m am reminded of this frequently. I’m reminded of it in my own life because I do it all the time and need to be reminded to listen rather than react and respond. I am reminded as well because the members of the United Methodist Church have been actively engaged in not listening to each other for many years. I see it all over our church conversations and politicking about sexuality. Time and again, I read and hear the words of clergy who claim to be representing the views of others, but they say things that the other person would never claim as their own. We attribute to others motives they do not hold and evil intentions that they would disavow, and yet we continue to attribute those words and motives to them. More often than not, people defend such statements by saying they are only reporting what they hear coming from the other person. But they are not really listening. They are reacting. If they were sitting in a session with their CPE instructor, they would rightly be invited to take a closer look at their descriptions of the other person. Here is the simple process I have been taught, and I try to hold on to. After another person speaks, report back what you heard them say. Then ask if what you said is what they said. If they say it was not, then you try again, until the person who spoke agrees that what you said is what they said. Of course, in dialogue across the denomination, such an exchange is rarely possible, but the spirit of that exercise can and should inform how we talk to each other and about each other because we cannot love each other in disagreement if we are not willing to listen to each other. And let me be clear, being willing to listen does not require us to agree. I can listen to your position so well that I am able to state it back to you in words that you would claim as your own and still say I do not agree. We can listen to a person and still conclude that they are wrong or in error, and we need to permit them to do the same regarding our positions. In the end, every one of us is going to meet Jesus and discover that we are wrong about some of the things we believe. Only God knows everything. It is a sign of humility to listen to someone who does not share our opinions. When we listen, we acknowledge that only God has nothing to learn about the world. To listen is not to agree. To listen is not to endorse. To listen is simply to treat the other person as you would like to be treated. The Bible calls that love, and calls us all to do it. In the coming months, the United Methodist Church will come to some decisions that will change the very nature of our church. It is unavoidable work. It is work that we should carry on as Christians. I pray God will convict me when I fall short in this area, make me ready to repent, and help me to better love my brothers and sisters even in the midst of disagreement.